In 2010, we started the Pet Food Bank as a way of keeping pets in their homes and with their families, instead of in shelters. 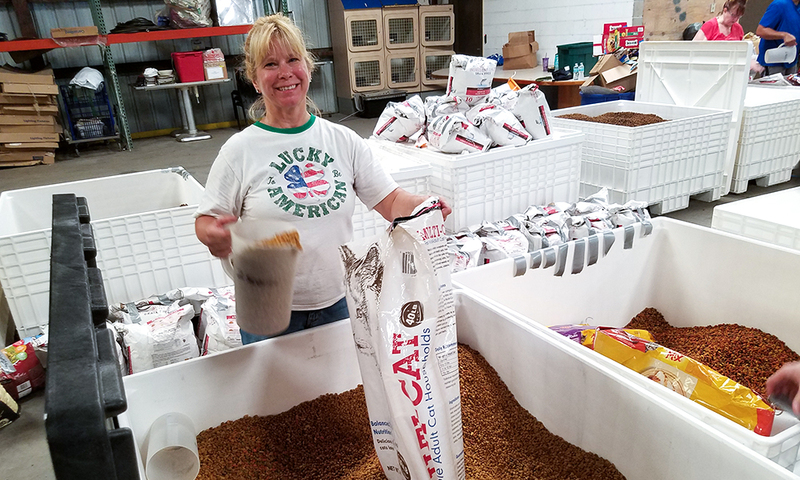 Since its first year, we have been able to offer more than 1.8 million pounds of pet food to qualified, low-income families. 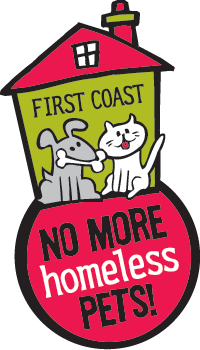 First Coast No More Homeless Pets’ Jacksonville Pet Food Bank provides a one-month supply of cat or dog food to households with up to 4 dogs and 5 cats. To be eligible, all of your pets must be spayed or neutered. If your family qualifies for free food, but your pet is not yet spayed or neutered, you are also eligible for our free spay/neuter surgeries. We can only help pets and the people who love them through the support of the community. Any donation of pet food is greatly appreciated! Food will only be given out on designated distribution dates. Saturday, May 18, 2019 | 9 a.m. – 11 a.m.
Saturday, June 29, 2019 | 9 a.m. – 11 a.m. There is no advantage to be gained by arriving more than 30 minutes earlier than our opening time. All qualified recipients will be given the appropriate amount of dog or cat food if they arrive before closing time. 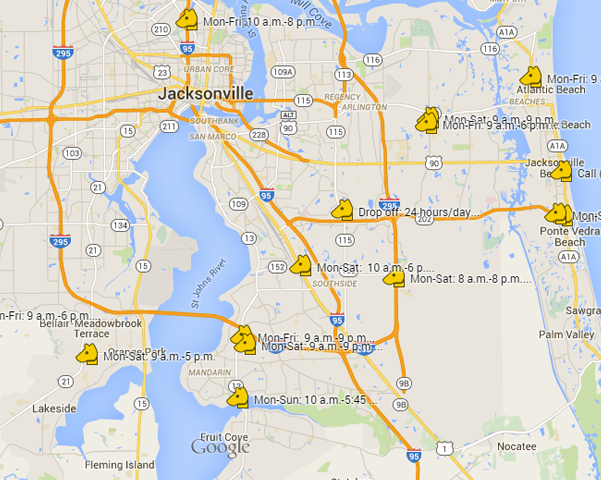 Hours for October – April will be 10 am – 12 noon and hours May – September will be 9 am – 11 am. Send your company name, address and drop-off hours to Brian Patterson, Volunteer Manager. Secure bins/boxes to collect your donations. Pickups are available for donations weighing more than 200 lbs. 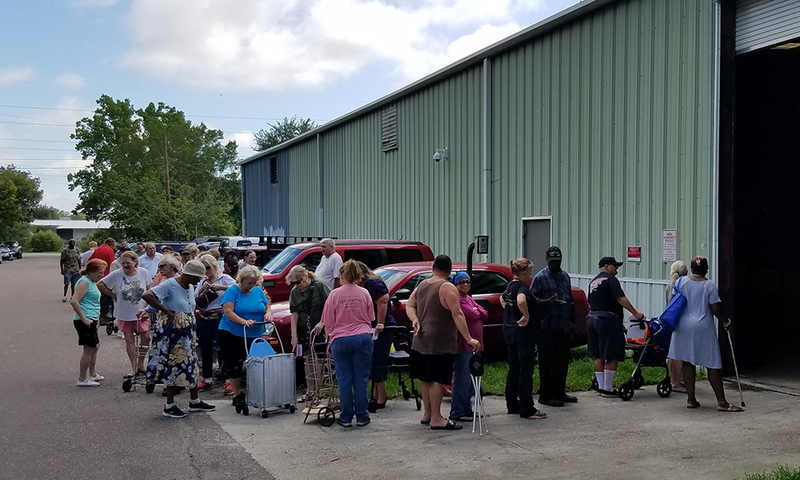 To schedule a pick-up or for information on becoming a drop-off location, please call (904) 507-4425 or email us at info@fcnmhp.org. In 2010, we started the Pet Food Bank as a way of keeping pets in their homes and with their families, instead of in shelters. 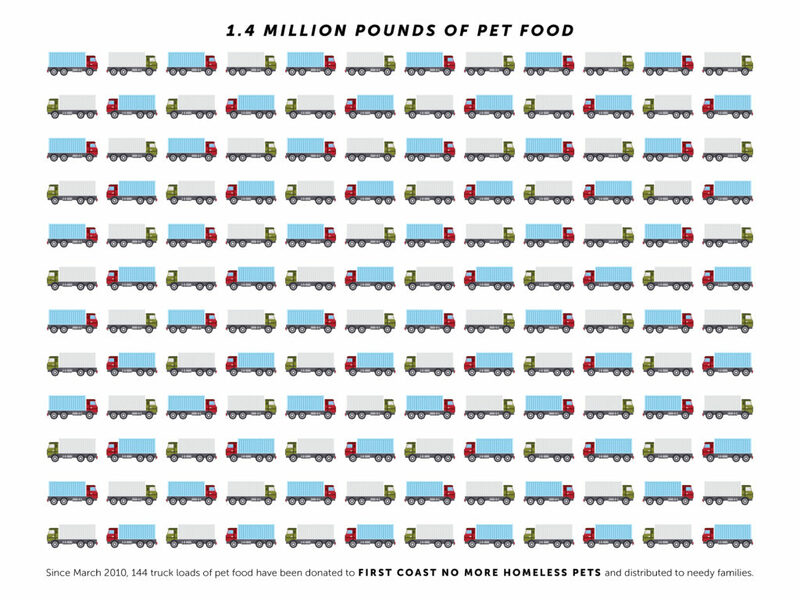 Since its first year, we have been able to offer more than 1.4 million pounds of pet food to qualified, low-income families.